Looking for wood burners in Cheshire? 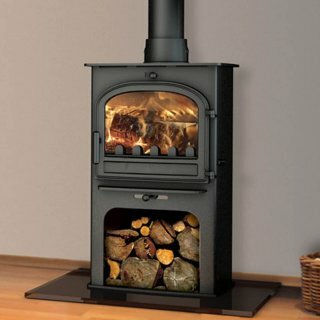 Are you considering a wood burning stove and live in the Cheshire area? Then look no further! We are Cheshires longest standing fire, fireplace and stove shop. We are family fun and have an excellent reputation within the area. To this day most of our business comes via recommendations and repeat business. Over the past 15 years stoves sales have increased hugely. This is due to the cost of gas prices in part and the allure of real flames engulfing the logs safely behind glass. Our selection of stoves is extensive and our fitters are well regarded. Our work includes full removal of the old fire/fireplace, any brickwork and plastering that may be required, full installation and removal of any rubbish at no extra cost. If it’s advice you need on making the right choice for your requirements, our expert sales staff can advise you on the pros and cons of each product. We have a good range of wood burners on display of all styles and heat outputs. We also have a fantastic range of hearths, chambers, beams and fireplaces, all of which can be custom made to size and colour. You can find us on Washway road in Sale, next door to the Co-op Food and across the road from the Interior Curtain Centre.